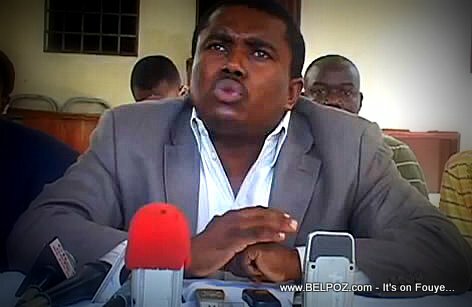 KREYOL: Haiti - Mèt Andre Michel ak Newton Saint Juste gen gro dificulte nan yon station radio nan ville Gonaives kote yap paticipe nan yon emission , moun anvayi radio a... Kisa-w panse de sa? A man walk into the radio station with a Youri Latortue t-shirt, Andre Michel says, to harass him and Newton Saint Juste. Andre Michel said Haitian police came to the radio station to give them security, they are still in the radio station under the protection of the police. « Lekol en Haiti - A ki laj, nan ki class yo montre elèv Haitien yo itilize òdinatè? M RENMEN SA. M TA RENMEN POU TOUT PEP LA PATOU NAN PEYI OUVRI JE YO, KE YO, E PRAN KONSYANS DE ETA PEYI E FE GOUVENMAN MARTELLY AK LAMOTHE LA KONFYANS. NEG YO AP METE PEYI A SOU YON BON CHEMEN. YO PAKA FE L POUKONT YO, E YO BEZWEN PEP LA POU YO EDE YO.NEG OPOZISYON YO SE POU ENTERE PROP TET YO AK FANMI YO YAP CHECHE.